« Do you recognize this Freehold Cowboy? An American tragedy is upon us. Considering that many of our people have given their lives from Bunker Hill to most recently, Chattanooga, Tennessee to protect our democracy and its fundamental right to vote. 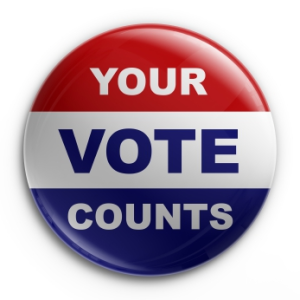 In New Jersey, it is estimated that we will experience less than 21%, or only about one for every four registered voters will cast a ballot this November 3rd. Doesn’t matter whether you’re a Democrat, Republican, Independent, Unaffiliated, a skeptic of the times, hardworking and busy, whatever the reason, if you’re a citizen, you vote. What makes it inexcusable is how easy it’s become. You can go to the polls which are open early and close late, but, you can also vote by mail, for free. 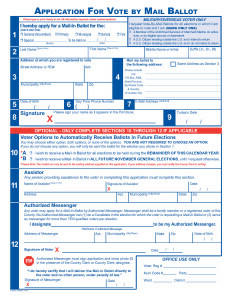 You just have to fill out an “Application for Vote by Mail Ballot“ and send it in to the Office of the County Clerk so they get it 7 days before the election. You’ll get a ballot sent to you. 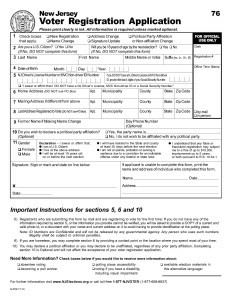 Need more information and the form? Simple, you can get them everywhere from the library, post office, county offices, or just go to the website: http://visitmonmouth.com/page.aspx?ID=1803. As a note, you don’t need an excuse to vote by mail. Not like before when you had be out of the area, sick or some other reason to vote by mail when it was called an Absentee Ballot. Now, if you just want to vote from your arm chair, that’s enough. So if there’s no reason needed, there’s no excuse. And if you’re a procrastinator, like many of us, you can submit an application in person at the County Clerk’s Office at 300 Halls Mill Road up until 3 pm the day before the election. 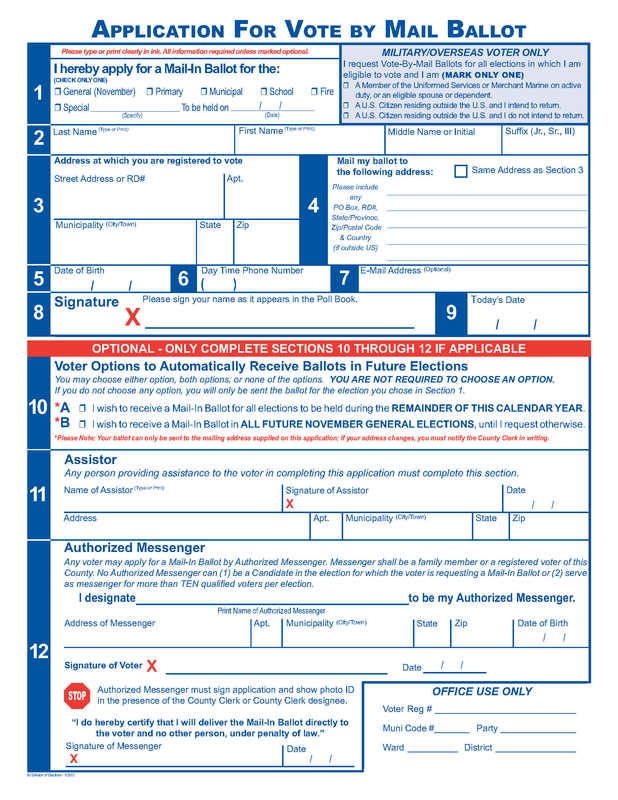 You can get all the information you need from the New Jersey Division of Elections on line at: http://www.njelections.org. So, please respect all those wonderful men and women who protect our lives and privileges, every day. We’re not asking you to take up arms, dip your finger in blue ink under threat of death as you’ve probably seen done by people in other countries. We are just asking you to take up the ballot.